VMware is trying to transcend the hypervisor with a Software Defined Data Center – Not news but repackaging and renaming it a modernization of the marketing approach sometimes needed to move forward (See announcements on vRealize). New products/services were announced but not as prominently as previous VMworlds. 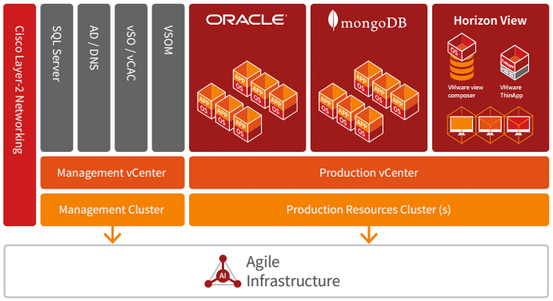 VMware is transcending storage – This is an incremental story played out in phases. Storage is a mess for VMware with LUNS and automation issues. Both are getting fixed between now and Q1, 2015 (estimated). VMware is embracing the new trends; OpenStack, Docker – VMware will distribute OpenStack software but it’s unknown how that community will embrace it. It also proclaims a Docker vm will be a 1st class citizen in a VMware Infrastructure. VMware is trying to embrace consumption models – By offering by the minute consumption billing, VMware now may be on par with AWS and other pay by the usage consumption models. VMware is now in Hyper-Converged – EVO Rail and Rack now put VMware into new water with specific builds of hardware. The only problem is HP and Cisco aren’t playing. The Ecosystem – This show was more about the disruptors and their value. At the show was Docker, SolidFire, Simplivity, and more. 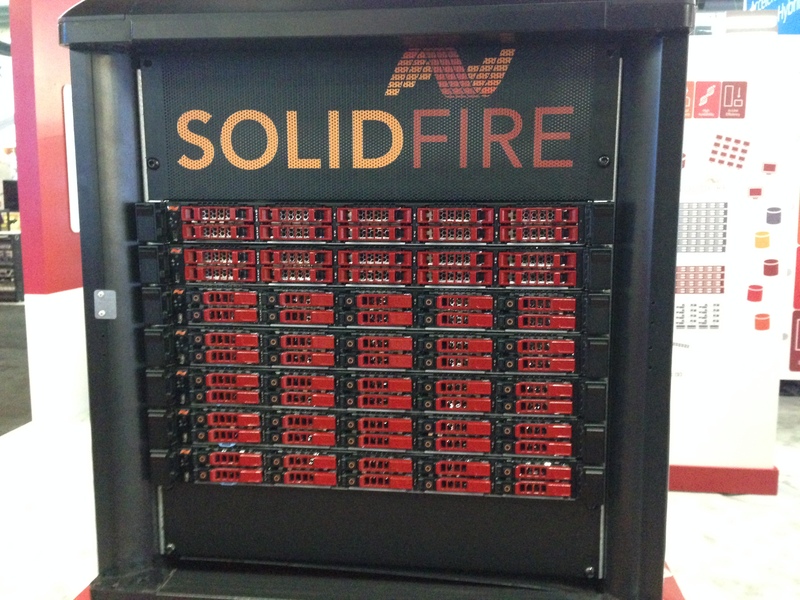 I was amazed at how well the SolidFire presence played out. 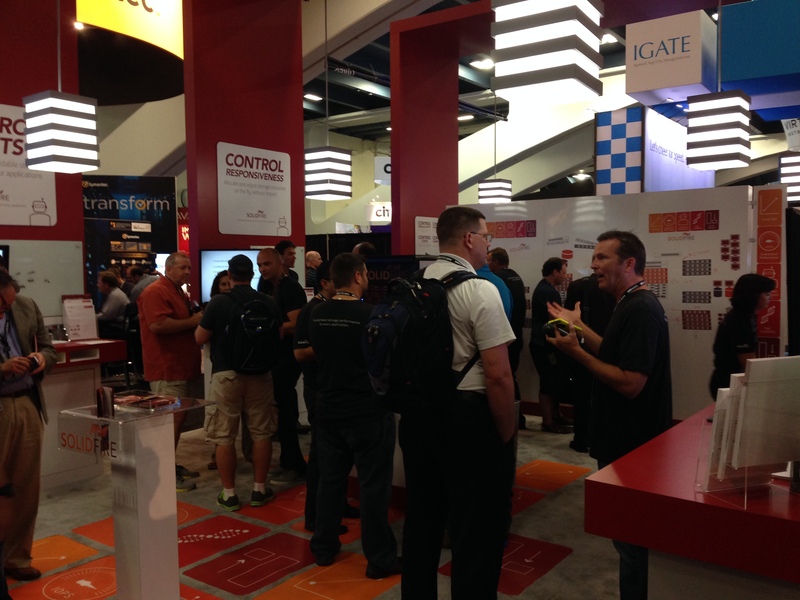 People loved the message of converging and mixing workloads at scale. They also loved the socks, the beer event, and Dave Wright gave a special briefing for 11 partners which felt like a sequel to his widely admired Tech Field Day address. This happened at the W on Wednesday and as one attendee put it, “it was the best briefing of VMworld”. Approximately 100 general purpose virtual machines, with a VM profile of 2 vCPU, 4 GB vMEM, and 60 GB vDisk with redundancy. Up to 250 Horizon View virtual desktops, with a desktop profile of 2 vCPU, 2 GB vMEM, and 32 GB vDisk with linked clone. EVO Rack: a “technology preview” for integrated rack, power, and other parts of managing up to 4 EVO Rail appliances (16 nodes). That would equal max scale of 400 VM’s and 1000 Horizon View desktops. 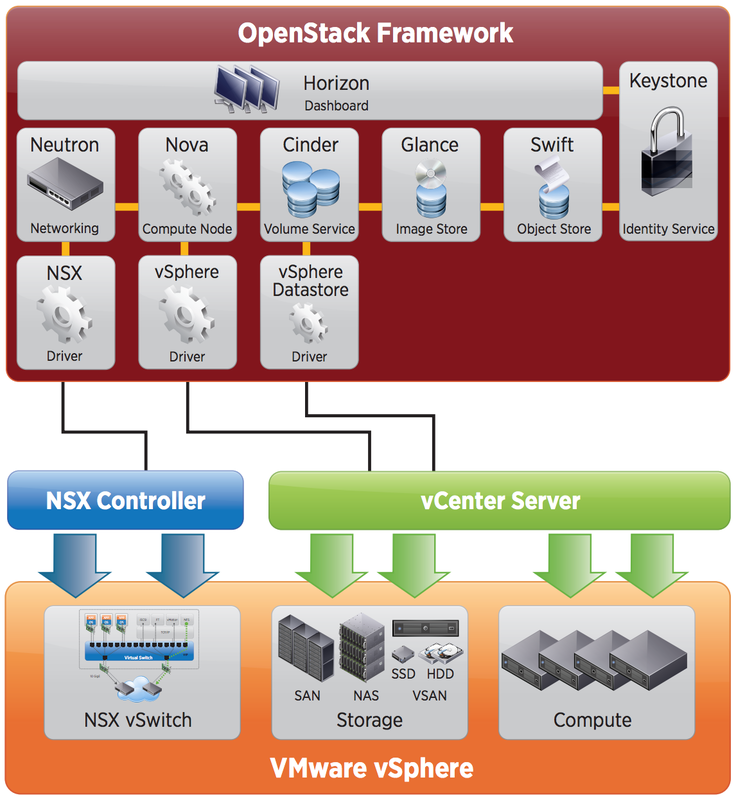 Welcome to VMware’s distribution of OpenStack. Details are still emerging but for organizations that want to embrace OpenStack VMware will be offering an “integrated” way to access the software. 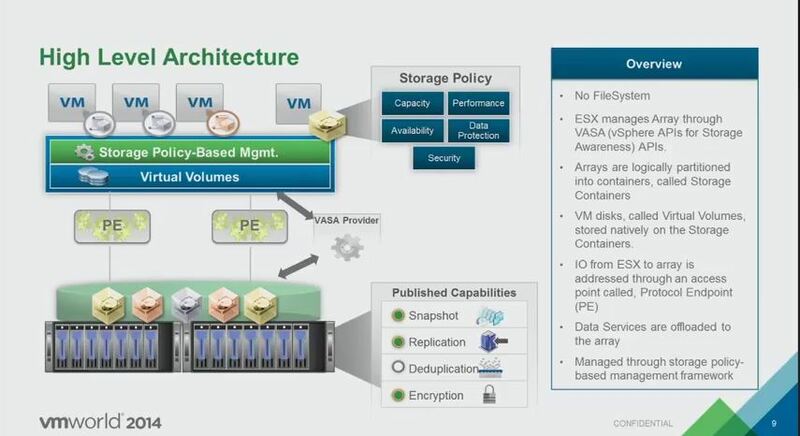 The integration news here seems to be more about NSX as Compute and Storage are accessed via a vCenter adapter. By the minute consumption model – VMware vCloud Air Virtual Private Cloud OnDemand is available today through a qualified beta program, with general service availability expected in Q1 2015. VMware renamed it’s management suite delivery, provisioning, optimization, costing, monitoring and metering into a single suite. Welcome VMware vRealize Suite. There’s also an Automation tool SaaS based that provisions and delivers applications for deploying private and public clouds. Lastly there’s a tool called Insight. This tool is a monitoring solution that provides OS monitoring, health/performance management, plus capacity planning/modeling, log analytics in real time, compliance/security hardening, application dependency management mapping, and storage + network visibility. VMware announced teaming with Docker, Google and Pivotal to Simplify Enterprise Adoption of Containers. You might have heard of “Docker”. This is born out of a new technology for stateless applications. Think of this as containerizing application with a very lightweight abstraction. The new theme is that Docker isn’t an alternative to VMware but more of an add-on. As the CTO, Ben Fathi, put it; “they will be 1st class citizens” in VMware’s virtual infrastructure. This is an acquisition pre-VMworld for the EUC group. 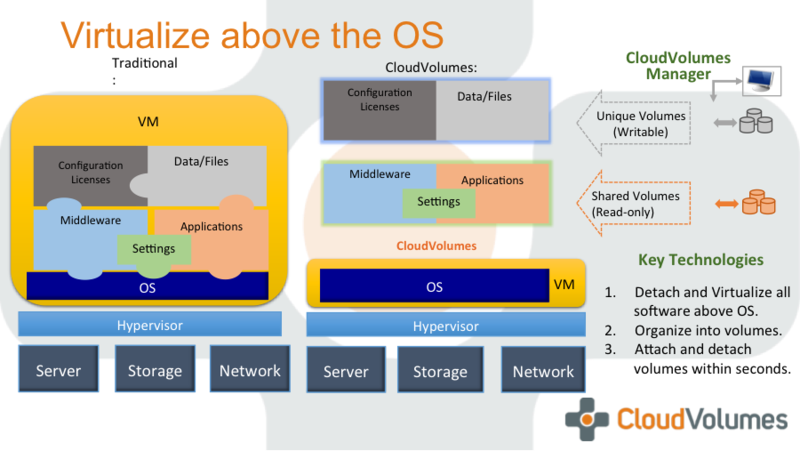 CloudVolumes represents a technology difference from Mirage which captures the desktop OS image in a synchronized way so the users can take that image offline. CloudVolumes by contrast needs a persistent connect to manage the image. 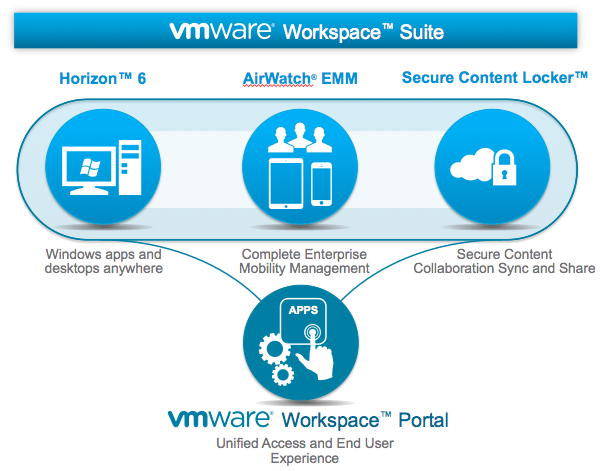 VMware announced the new Workspace Suite. This is the compilation of traditional Horizon View combined with assets from Airwatch and joining with CloudVolumes. If you combine this with vCloud Air DaaS and the previously announced app publishing VMware was left no stone unturned…. Except profile management. Stay tuned. 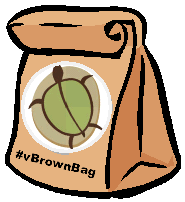 VVols – VMware did not announce anything more on VVols as a launch but did education on deeper topics. See here for link to recorded session. Another cool revelation was the concept of VASA being the control plane and VVols being the data plane. Project Magic (this is big IMO) – This is something shown late on Thursday where vCAC can now call down to storage and execute commands to external storage arrays, pre-VVols! This is done by vCO programming to work with SPBM and the VASA provider to make policy based executions based on vCAC’s policy groups and/or blueprints. VMware IOFilters (VAIO) – Here’s the future of all “kernel mode”. In the future VMware will provide an IOFilter for software providers to connect into for kernel mode things like caching and acceleration. Aaron Patten did a good blog post here about it. SolidFire also showcased Fibre Chanel for the 1st time. This now provides a full range of organizations to access legacy Fibre Channel for the SolidFire scale-out, all-flash solution. VMworld 2014 was the usual success in attendees and it feels like the energy is back. Disruption seems to rule the day being lead by interests in transcending all you’ve done previously. OpenStack, getting beyond VDI, consumption models, hyper-convergence for SMB/commercial, All Flash Storage, and mixed workloads for a full enterprise solution all ruled the day. The key in the future seems to be at what pace will organizations move to disrupt themselves and embrace all this new innovation? And how will they control it? 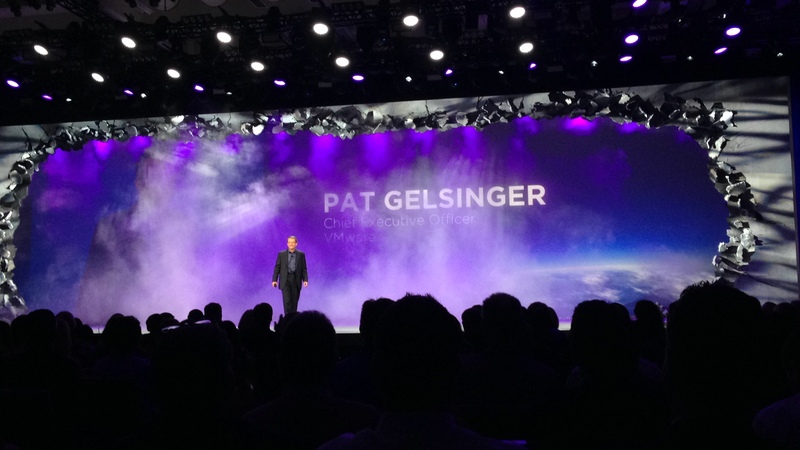 ← Scaling out VMWorld 2014, the pre-show blog. Boom!